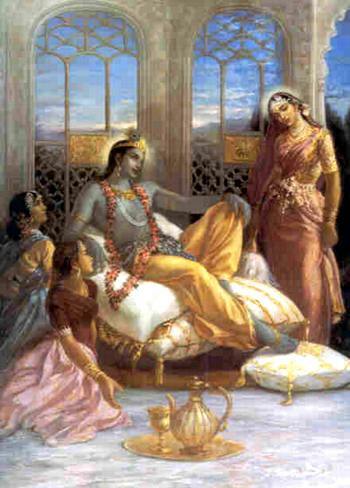 Shariputta's Story: His birth as Krishna in the Ghata Jataka. READ! 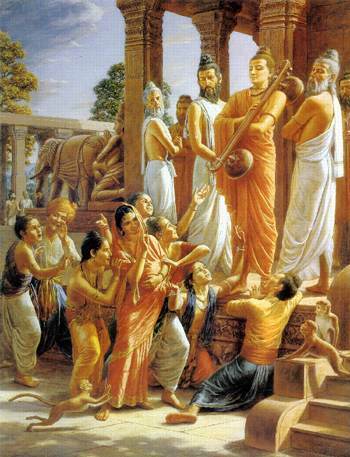 Ghata Jataka in English. In course of time, they grew big, and being very strong, and withal fierce and ferocious, they went about plundering, they even went so far as to plunder a present being conveyed to the king. 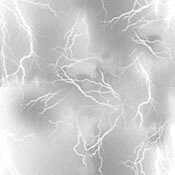 CAnura and Mutthika went down into the ring, and strutted about, jumping, shouting, clapping their hands. The Ten Brethren came too. On their way they plundered the washer men’s street, and clad themselves in robes of bright colors, and stealing perfume from the perfumers’ shops, and wreaths of flowers from the florists, with their bodies all anointed, garlands upon their heads, earrings in their ears, they strutted into the ring, jumping, shouting, clapping their hands. 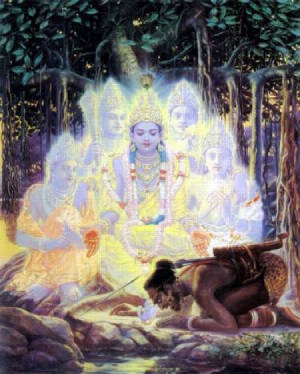 Vasudeva destroys all the kings of Jambudipa with his chakra. The king said, “Take away the Ten Slave Brethren.” At that moment, Vasudeva threw a wheel, which lopped off the heads of the two brothers (i.e. the king and his brother). The crowd, terrified, fell at his feet, and besought him to be their protector. Thus the Ten Brethren, having slain their two uncles, assumed the sovereignty of the city of AsitanjanA, and brought their parents thither. They now set out, intending to conquer all India (Jambudipa). 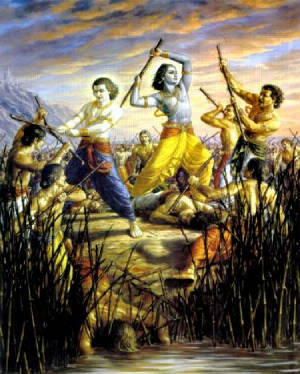 Thus they conquered all India (Jambudipa), and in three and sixty thousand cities they slew by the wheel all the kings of them, and lived at DwArvatI, dividing the kingdom into ten shares. In course of time, they were all increased with sons and with daughters; and after a long time had gone by, their parents died. At that period, they say that man’s life was twenty thousand years. Then in sport they began to catch hold of hand and foot, and dividing into two parts, they became quarrelsome. At last one of them, finding nothing better for a club, picked a leaf from the eraka plant, which even as he plucked it became a club of acacia wood in his hand. With this he beat many people. Then the others plucked also, and the things as they took them became clubs, and with them they cudgeled one another until they were killed. The Ghata Jataka is quite special in that very little of the story has been known to the rest of us, and for the first time I present this story on the internet, thanks to the efforts of the Pali Text Society's translation in english of this wonderful text. 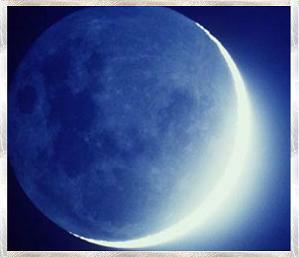 This story is quite different and in some ways similar to the ones preserved in modern Hindu myths. In the Ghata Jataka, Krishna is known as Vasudeva and is the eldest son (with an older sister) of 10 brothers -- that's 11 siblings! Whereas in the Hindu version, there's only Krishna and Balarama. 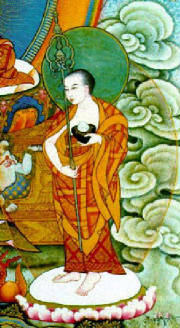 The birth stories are also different, in that no babies are killed in the Buddhist version. Each male baby has a counterpart female born of Gopa and is adopted by the foster mother who is a servant of Devaki. 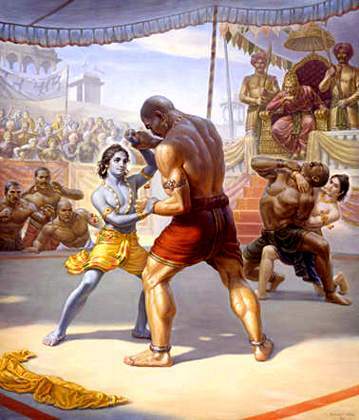 Also, rather than the very delicate Krishna of the Hindus; The Buddhist Krishna and Balarama are "huge and rugged and fierce" The 10 brothers are known to be dacoits whose exploits become so well known they are reported to the king who fixes a wrestling match to catch them. 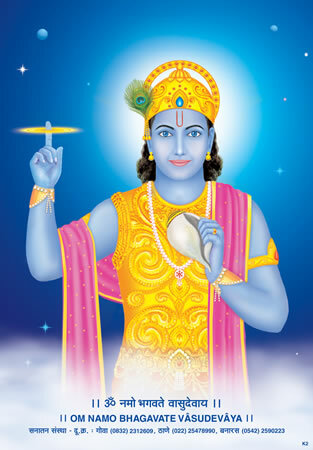 Another huge difference is the portrayal of Krishna. 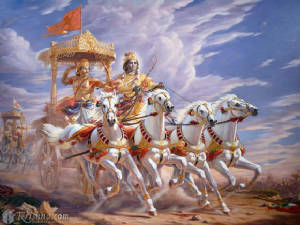 In Hinduism he is portrayed more as a romantic hero than a powerful king or warrior -- he even nearly loses to Jarasandha of Magadha and is a mere charioteer to the mighty warrior Arjuna. In Buddhism, it is Vasudeva and his brothers who conquer all of Jambudipa, killing all of it's kings and hardly any mention of any romantic stories. They rule for thousands of years.